There was a moment, about two and a half years ago when I seriously thought we weren’t going to make it. Life was crazy. To you, sleep was the enemy, as was food (or at least keeping it down), resting, car trips, prams, shopping, planes, cafes and any movement more than 1o meters from our house. Basically, anything that we thought would be easy BC (before children) was a complete and total disaster. It wasn’t your fault. Brought up on a diet of Family Ties, Full House and Growing Pains your parents truly believed that there was nothing that couldn’t be fixed in 30 minutes. Parenting books with easy to follow schedules and friends who outwardly appeared to be handling their own new-borns with ease checked us into the penthouse suite at the Delusional Hotel, where babies sleep straight through at 6 weeks and Mums and Dads read papers in Cafes over coffee on Sundays. In your typical way you surprised us, finding giant holes in our “strategies” and deficiencies in our plans. Although we were slow getting there, we eventually learned that you had your own way and that if we just listened to what you were telling us, things would be easier. You did things in your own time, in your own way. You didn’t really crawl, instead you rolled around the room until you learnt to stand, which quickly turned into your favourite form of motion today; running. You got your teeth later than anyone else but learnt to talk by 14 months. You first word was shoes and you’ve been arguing about which ones to wear ever since. You’re me in so many ways. You simply can’t sit still. Ever. Your like a supernova, spinning and twirling throughout the day, faster and faster, excitedly getting into anything you can with every fibre of your being until your head hits the pillow like a stone. You’re imagination is boggling and your ability to pick holes in an argument; concerning. My parents are laughing. You’re your mum as well. Kind, caring, affectionate with an infectious laugh and a ticklish neck. You’re deeply passionate, great at organising others and excel in getting the world to spin the way you need it to. You also hold a special spot in your Poppy’s heart just like your mum does. It will take me years to undo the spoiling that both of you have received. You’re not really a toddler now. You’re in a big bed, go to big swimming and play the role of a big sister. In those rare moments when you are still and we talk I find myself speaking with an adult, someone who can reason and deduce and have an opinion. As I said, my parents are laughing. Well done on making it this far. Thanks for showing me that singing in public is fine, that my preconceptions of relaxed parenting are just that and true happiness really is as simple as a shoulder ride to the park to play on the swings. Thanks as well for giving your parents the wisdom to know that the challenges we are having with your baby sister will pass. Thanks for not breaking when I dropped you off the ladder at the local park, for keeping me sane when we spent those two nights in the hospital and for making Saturday morning grocery trips a highlight of the week. Well done on thriving despite your parents theories, flailing and failings. Happy Birthday Missy, our Illiterate Infant v1.o. What have your children taught you? How have they surprised you? Were kids easier or harder than you expected? 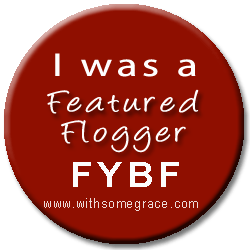 This entry was posted in DadBloggers, Raising Girls and tagged Children, DadBloggers, Family, Family Ties, Infant, Parent. Bookmark the permalink. 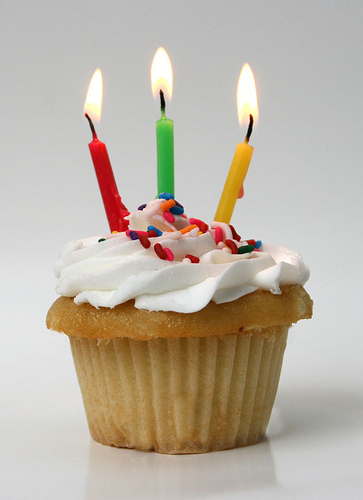 22 Responses to Well done – we made it to three years! Thanks mate – one of those posts that takes 5 minutes. Peeing in a potty – well done mate. Baby steps for both of you! That’s a really great post, Kev. Gives me great insight into what we can expect in a couple years. Very nice post, I enjoyed it and years down the road it is going to be precious to your daughter. Thanks CoM (notice the hip way I have abbreviated your name). It seems to be resonating with a few Dads at the moment. And resonating with mums too – nice tribute, particularly with the honesty. I think honesty always has a greater touch. And parenting in general teaches so much. The amount of times I have called EG Grandma and started with “Sorry” instead of “Hello” – and she instantly knows to ask “What did the spawnlings do this time? .. Uh huh… yes, you did that too, and survived.” I now understand why my parents wanted to celebrate my birthday as much as I did – It was another milestone of their survival too! Happy Birthday, Illiterate Spawnling v.1!! I love this post Kevin, its absolutely beautiful. Happy Birthday to your little Miss and congratulations to you for surviving too. Your girls are very lucky to have you! What has Punky taught me? To expect the unexpected, that nothing is constant and everything changes, that I don’t know anywhere near as much as I thought I did, that I love my husband more than I thought possible, that I could have my heart walking around outside my body and not die, and that hearing her and her Dad laugh together is the best sound I have ever heard! Happy birthday! Our daughters must be only weeks apart, my JJ turned 3 a fortnight ago. Well a big Happy Birthday to your JJ! Love Kylies responses to what Punky’s taught her….. The only thing I’ll add is that I’ve learned parenting is a marathon, not a sprint. absolutely – and you need to stay well hydrated throughout! Lovely post, Kevin. Don’t those syrupy sitcom families just make you want to puke? Happy birthday Miss Three!! Lovely post. Gorgeous post. I shall have to write a letter to my daughter for her birthday too…to give to her when she is old enough to read it and appreciate how much she keeps me on my toes. My toddler has taught me that nothing can be out in a place that is too high to be reached…with a little furniture moving and a lot of creativity! sounds like you have a perfectly well developed young toddler there! Well done Kevin, doing a sterling job it appears. I am halfway through getting my older one through his first year at high school and then another will follow him there next year.whilst it is always challenging at every stage I am grateful for what I have learnt parenting my first 3 older boys and the wisdom that gave me for the next 2 toddlers. Most importantly it is not to sweat the small stuff and enjoy the little things! Thanks for reminding me of Steven Keaton and Dr. Jason Seaver. Also Bill Cosby. They made it look so easy didn’t they? If only! I’ve got eight kids now Enjoy the blog. New follower here.